You have a website, you have content, but still your site isn't moving up the organic search engine results pages. Time to bring in the SEO specialists. 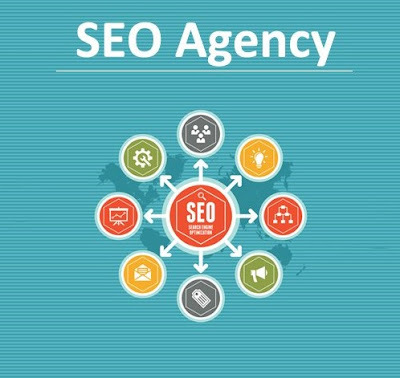 Remember that today, effective white hat (honest) SEO is an analytical, technical and creative process that is best implemented by an SEO professional or SEO agency for businesses to make the best of the Web and reach out to customers locally and all over the world. By paying attention to each of these areas - without employing black hat SEO practices - and constantly reviewing them, you will see your brand stand out and be found on SERPs. Another way to look at SEO is to consider the signals Google uses to determine if a website is worth ranking high on SERPs, or not, and if your website and content have them. These signals (coming from your content) include bolded words in the text, whether your website is optimised for mobile and whether the headline on a page matches the text in the query. Other signals are how many links go into your site, site speed, content freshness and the quality of your content. A new, hugely important signal is referred to by Google as RankBrain - essentially the machine learning/artificial intelligence part of the search engine’s algorithm. It determines what results appear on SERPs and where they are ranked, and its primary aim is to deliver more relevant search results for users. RankBrain has now become the most important signal for Google. While some say you can't optimize for RankBrain, we say that there are things you can do, and should do. The most important factor is content, and if it provides a quality user experience. This can be defined by asking: is my website and its content useful, shareable, relevant, findable and credible? Google will be the judge of this by looking to see if you have a low bounce rate (the percentage of visitors who come to your website and leave without navigating to any of your other pages), and whether users spend a lot of time on your site. Google also judges the quality of you content by measuring 'time to long click' - when a user clicks from a search result to your website and stays there for a long time before returning to Google. Another type of content Google doesn't like is 'thin content'? This is content that offers little value to users because it is light on real information and include duplicate pages, e-commerce listings with short descriptions and scraped content from other websites or feeds. It's not only what type of content you're posting (video, for instance, is preferred over text), it also looks at how the user interacts and engages with your content. Then, do users return to your site? If so, how often? Use your analytics program to measure these important points and remedy them if the results are poor. Once you’ve done a good audit of your site and site SEO (there are free and paid-for tools on the Internet or employ a specialist SEO company), and fixed all the issues, start promoting your content in Social Media and across micro news sites such as Rebelmouse.com and others relevant to your industry. Once your content and SEO are optimized, you will reap the rewards of higher rankings in SERPs, and attracting thousands of users to your brand.